The economic burden of Western sanctions has pushed Russia to the east in search of business opportunities. Judging by the outcome of President Putin’s visit to India – 20 high-profile deals struck – Moscow’s ‘pivot to Asia’ is getting a warm welcome. Russian President Vladimir Putin achieved this during his visit to India spanning 23 hours and 15 minutes and at a summit meeting with Indian Prime Minister Narendra Modi that lasted barely a few hours. By the time the two leaders finished their business in New Delhi’s Hyderabad House, 20 pacts were signed in the presence of Putin and Modi on 11 December and the two sides ended with US$100 billion commercial contracts. Rich pickings by both sides included deals worth $40 billion in nuclear energy, $50 billion in crude oil and gas and $10 billion in a host of other sectors, including defense, fertilizers, space, and diamonds. All these deals are long-term in nature. For example, India and Russia agreed that Russia would be constructing 12 new nuclear reactors for India and India would soon be identifying a second site to host these plants, apart from Kudankulam in the southern Indian state of Tamil Nadu. Each of the new nuclear reactors will cost $3 billion apiece, triple the amount India spent on the two Kudankulam plant units which each cost just a billion dollars. The sharp hike in the costs is because of tough nuclear liability laws that the Indian parliament enacted four years ago. No foreign power has invested even a single dollar since the new Indian nuclear liability laws came into force. However with Russia wading into the vast Indian nuclear market despite its liability laws means that nations like the US, the UK, France and Canada will be in line. Indians will have to thank the Russians for that. But then Russia too has got the advantage of being the early mover in this regard. 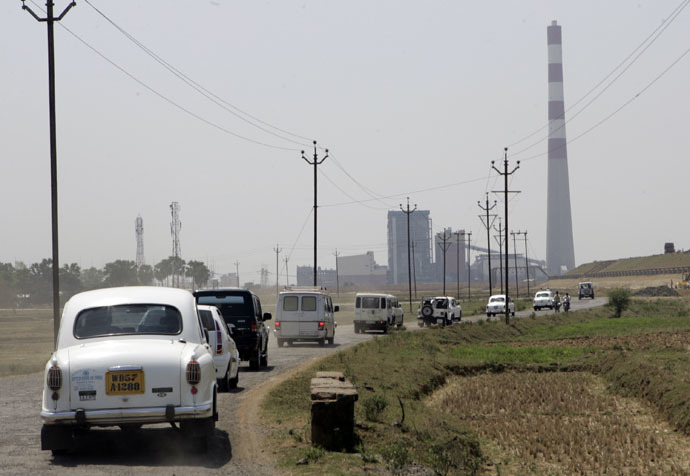 The $40 billion expenditure for construction of 12 new nuclear plants in India will be spaced out over two decades. Even then this is big money, and more so for Russia at this point of time when Russia is hemmed in by the West and isolated because of sanctions enforced by the West against Russia. An Asian country like Japan, the world’s third biggest economy, too has joined the West in implementing sanctions on Russia. The Western sanctions left little room for Russia and practically forced it to divert its direction of trade and business to Asia which offers far bigger and untapped markets. Putin’s just-ended India trip constitutes a major foreign policy success for the Russian President as he has successfully teamed up with China and India, Asia’s number one and third economies respectively. Earlier this year, Putin had signed a whopping $400 billion 30-year contract with China for Russian energy exports to China. The stellar role played by Russia in the making of modern India post-independence was rightly emphasized by Prime Minister Narendra Modi in his media statement while pointing out that when President Putin and Prime Minister Atal Bihari Vajpayee launched the annual Summit process in 2000, and when Vajpayee went to the second summit in Moscow in November 2001, he was there to sign the sister-state agreement between Gujarat and Astrakhan. The two sides have also decided to revive their good old defense partnership, albeit in a new avatar. 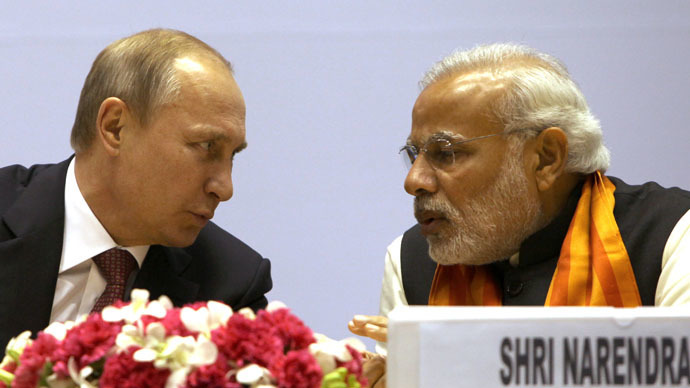 Not too long ago Russia used to command an over 80 per cent share of India’s defense arsenal. Today it has fallen to just about 60 per cent. The US has already taken over as India’s number one defense supplier, nudging Russia to the second position. The new Indo-Russian initiative involves Russia producing state-of-the-art multi-role helicopters in Indian factories to cut down on costs and time overruns. This deal, for which the two principals gave their approval on Thursday, will be worth $3 billion once formally signed. This will be the first major defense project under Prime Minister Modi’s pet scheme ‘Make-in-India’. What sweetens the deal further for India is that India will be at liberty to export these helicopters to third countries. The Indian Prime Minister assured that his government will follow up on the helicopter project quickly. In conclusion, one can say that Putin’s visit to India would rank at the very top in the list of incoming Prime Ministerial and Presidential visits to India in the year 2014. Most importantly, the just-concluded 15th India-Russia annual summit has laid out a specific decadal roadmap for bringing about a complete transformation in the Indo-Russian bilateral ties and taking them to a much higher trajectory than ever before.